the best BBQ in Gainesville" -Johnny L.
They’re the best part of BBQ, so why not make them awesome? That‘s what Adam’s Rib Co. is committed to: puttin’ the ribs back in BBQ. Remember waking up to the overwhelmingly delicious smell of grandma's home-cooked breakfast? That's what it's like every morning at Adam's. How about making your next social or business event awesome? 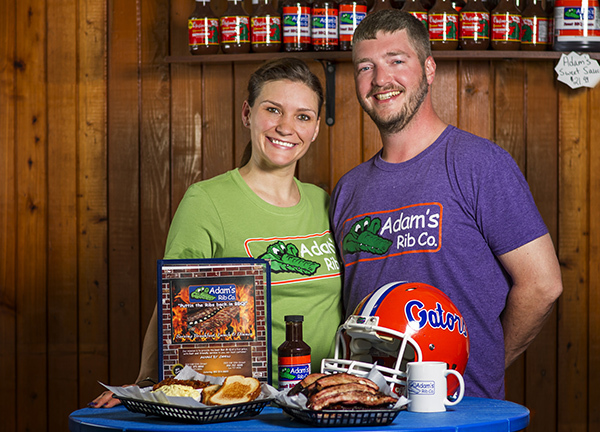 If you're up for that, let's get an order started for Adam's catering right now online.